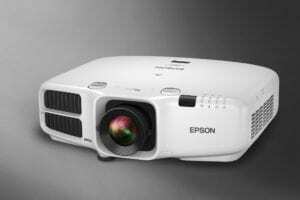 Japanese electronics maker, Epson, has recently announced the iProjection™ App for Chromebooks. The app allows wireless connectivity to a number of projectors from their Brightlink® and Powerlite® product line. The application, available from the Chrome Web Store, focuses strongly on the education market where Chromebooks have garnered a huge portion of market share in the past year. Chromebooks are now the device of choice in the classroom and we worked directly with educators to ensure our app was meeting their needs for classroom collaboration. iProjection™ gives teachers the ability to simultaneously display 4 devices, from a maximum of 50 connected Chromebooks, to supported projectors. With the app, we developed a way to wirelessly mirror Chromebooks on Epson projectors so that it supports multiple Chromebook displays at the same time. This will be a welcome addition to the ever-growing list of Educational apps and products for Chromebooks. The ability to manage and display multiple devices directly to projectors will certainly make for a useful tool for teachers and students alike. You can grab the app for free from the Chrome Web Store at the link below. Read the full press release at PR Newswire.